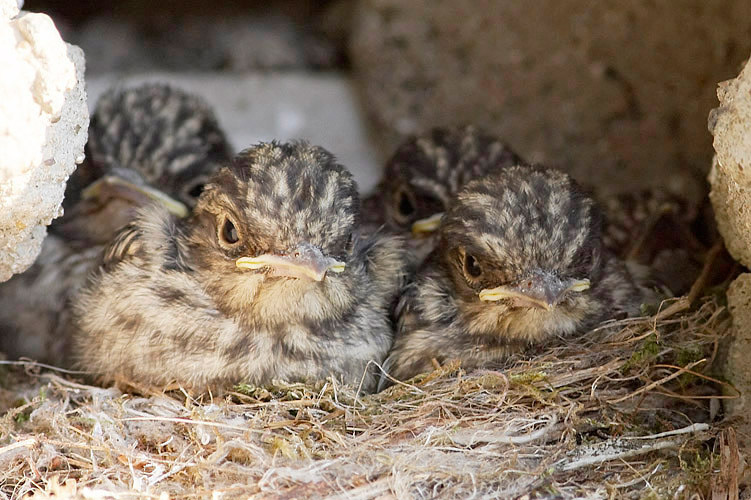 Nestlings of Spotted Flycatcher (Muscicapa striata Pallas, 1764). Nest was situated in a deepening of a brick wall. Птенцы серой мухоловки. Гнездо устроено в нише кирпичной стены. This image was obtained with Canon 20D camera.